OVERLAND PARK — Enough already with the annual Christmas “brag letters” and the perfect Facebook family facades. Mike and Alicia Hernon want you to know that all families are messy — and that’s a good thing. 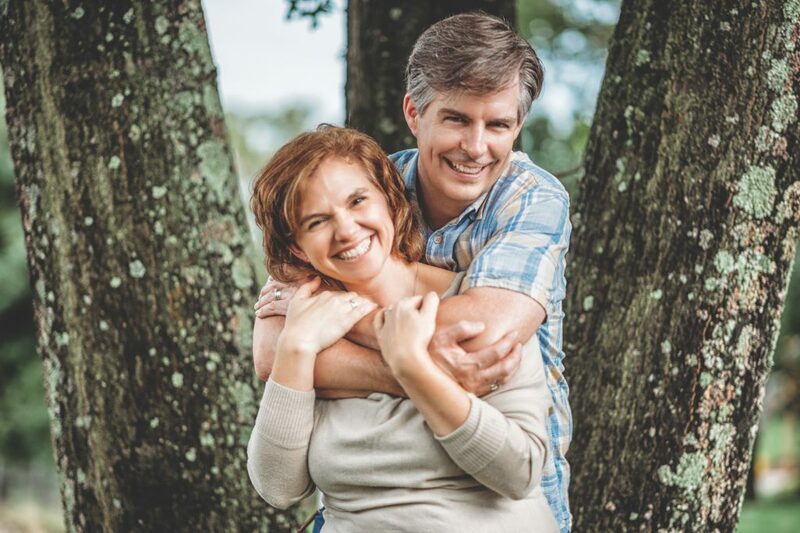 The Hernons are the co-creators of “The Messy Family Project,” a ministry devoted to coaching parents on how to strengthen their marriages, transform their parenting and develop a supportive family culture. All this despite not having a picture- perfect family. The Hernons, from Steubenville, Ohio, have been married for 25 years and have 10 children between the ages of 6 and 24. Mike and Alicia are graduates of Franciscan University of Steubenville, and Mike was, until recently, a university vice president. Their ministry began as a simple podcast in 2015 and grew until it became a full-time endeavor in November 2018. “We’ve always had a real heart for families,” said Mike. “We’ve gone through many ups and downs in our lives and realized there is a great need for encouragement and support for families. “Because they don’t exist,” said Alicia. God speaks to, works through and blesses messy families, the Hernons believe. The messiness is the crucible in which God pours his grace. Don’t reject the messiness — embrace it. This is empowering. “We’re more like, ‘Hey, look at each other, have a conversation, here are some topics you need to come together [over],’” said Alicia. Sometimes, parents can feel overwhelmed by the powerful gravitational pull of popular culture. How can a parent compete with all these powerful forces? Parents have a secret weapon: family culture. “It is a powerful way to influence your children that goes beyond even your relationship with them, where you create this unspoken system of values, expectations and beliefs that really motivate your family,” said Mike. The format of the day will consist of discussions following the Hernons’ presentations and breakout times for couples. The retreat will include Mass, breakfast and lunch, and a renewal of vows.The cost of the retreat is $40 per couple. For information or to register, go online to: kcascension.org/messy-family or contact Sarah Streitweiser at: sstreit wieser@kcascension.org. The registration deadline is Feb. 3.